“To face the rapid changeable marketing situation and the horizontal fierce competition, we Die Castings China people carry forward the hard working and indomitable fighting spirit, people-oriented, integrity management, strengthen internal management, and improve R & D and manufacturing capabilities constantly and improve the level of quality management constantly, and improve the ability for business development constantly, improve the effective use of resources, insist on the developing way of sustainable development to create recycling economy. 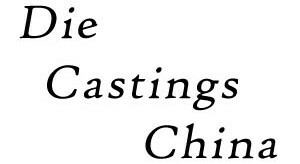 At present, Die Castings USA has been one of the fastest growing enterprises in the field of die casting industry in China. Looking back on the past few years development process, we always keep in mind for the huge support and help from all levels of the governments, people of all circles and our customers and partners in sharing wind and storm, without the support and help from all of them, Die Castings USA would not have today’s results, here, I would like to express my most heartfelt thanks and sincere greetings on behalf of all employees of we for support and help of all our old and new friends!